While funding offered directly by the CCCAS is limited, there are opportunities that the CCCAS can offer church members and member congregations through her mission partners. At the moment, these funding opportunities fall under 3 areas: Church Development, Education, and Ministry Empowerment. 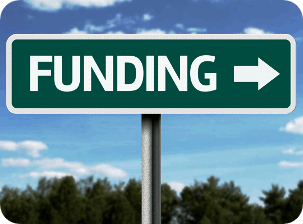 See all funding opportunities that are available below. Make sure to check back here as new funding opportunities will be added once they are available. If there are any opportunities that interest you, please contact the Office of the CCCAS General Secretary for more information (GenSec@efkasonline.org). This fund is available only to CCCAS member congregations for the purpose of church building and any other projects necessary for the outward development of the church. The maximum amount of funding is US$20,0000.00. All proposals must be submitted to the Office of the CCCAS General Secretary and screened by the CCCAS Finance Committee for approval. The UCC Cornerstone Fund is the funding arm of the United Church of Christ (UCC), where church building projects and development is one of the areas in which they fund. With the partnership between the UCC and the CCCAS, the UCC has allowed this funding to be made available to CCCAS member congregations. Contact the Office of the CCCAS General Secretary for more information (GenSec@efkasonline.org). Through the Reformed Partnership Fund, the World Communion of Reformed Churches (WCRC) provides small grants to member churches that carry out mission-related projects important to the life of a church and its surrounding community, particularly in the Global South. Church development is one of the areas covered by this fund. Contact the Office of the CCCAS General Secretary for more information (GenSec@efkasonline.org). Through the CWM Academic Accompaniment Program, the CCCAS plans to use this fund to offer scholarships to graduating seniors of Kanana Fou High School as a means to developing new and future leaders of the church. Details for securing this funding for Kanana Fou High School graduates is still being worked out. The plan is to have these scholarships available by 2020 so stay tuned. The Theological Education Scholarship Fund for Women in the South offered by the World Communion of Reformed Churches (WCRC) was established to encourage member churches to accept women in the ordained ministry. Its main purpose is to increase the number of women in the ordained ministry and to enable women from a wide network of Reformed churches in the South to build their capacity for effective partnership in God’s mission. The Friend Peace Scholarship offered by the UCC Hawaii Conference helps Christian students preparing for definite Christian work. Applicants must attend a theological school in a Pacific Basin country. Students attending Kanana Fou Theological Seminary have used this scholarship to help fund their theological education. CWM’s Mission Support Program Fund was created to encourage and support member churches in their mission work. With funds from the program, the CCCAS has developed a long term strategy to empower the ministry of its member congregations in three areas: Sunday School/Youth, Women, and Clergy. All CCCAS member congregations and mission congregations are welcome to apply for this funding. Contact the Office of the CCCAS General Secretary for more information (GenSec@efkasonline.org). Besides church development, another area that the WCRC Reformed Partnership Fund supports is ministry and mission development. The WRCR and its financial partners believe in the potential for ministry and mission development to strengthen the faith and improve the daily lives of people living in challenging contexts. Contact the Office of the CCCAS General Secretary for more information about this funding (GenSec@efkasonline.org).